The UK's Department for Business, Energy& Industrial Strategy has now published it's long awaited paper which offers guidance on what will happen with copyright if the UK leaves the European Union with 'no deal' outcome - an increasingly likely scenario (although the paper paints a more positive picture!). - The UK and other EU member states are already party to the main international treaties on copyright and related rights. Under the rules of these treaties, countries provide copyright protection for works originating in or made by nationals of other countries. These rules underpin the copyright legislation in all member states of the EU and do not depend on the UK’s membership of the EU. Sui generis database rights. Under the Database Directive (Directive 96/9/EC of the European Parliament and of the Council of 11 March 1996 on the legal protection of databases, extended to the EEA in paragraph 9a, Annex XVII of EEA Agreement), nationals, residents, and businesses of EEA member states are eligible for database rights in all EEA member states. These rights are unique to the EEA and do not arise in relation to databases created or owned by non-EEA citizens, residents, or businesses. Portability of online content service. The Portability Regulation (Regulation (EU) 2017/1128 of the European Parliament and of the Council of 14 June 2017 on cross-border portability of online content services in the internal market) allows consumers to access their online content services when they are temporarily in an EU member state other than their home state. Country-of-origin principle for copyright clearance in satellite broadcasting. The Satellite and Cable Directive (Council Directive 93/83/EEC of 27 September 1993 on the coordination of certain rules concerning copyright and rights related to copyright applicable to satellite broadcasting and cable retransmission, extended to the EEA in paragraph 8, Annex XVII of the EEA Agreement) simplifies the clearance of rights for cross-border satellite broadcasting. Under the Directive, a satellite broadcaster can broadcast a work protected by copyright into any EEA member state after having cleared the copyright requirements for the member state in which the broadcast originates. Wider country-of-origin issues in relation to broadcasting are covered in Broadcasting and video on demand if there’s no Brexit deal. Orphan works (works without documented owners) copyright exception. The Orphan Works Directive (Directive 2012/28/EU of the European Parliament and of the Council of 25 October 2012 on certain permitted uses of orphan works, extended to the EEA in paragraph 10, Annex XVII of the EEA Agreement) allows cultural heritage institutions established in the EEA to digitise orphan works in their collection and make them available online across the EEA without the permission of the right holder. Collective management of copyright. The Collective Rights Management Directive (Directive 2014/26/EU of the European Parliament and of the Council of 26 February 2014 on collective management of copyright and related rights and multi-territorial licensing of rights in musical works for online use in the internal market, extended to the EEA in paragraph 11, Annex XVII of the EEA Agreement) places obligations on EEA Collective Management Organisations – bodies that manage the licensing of copyright works on behalf of right holders. Among these is a requirement that EEA Collective Management Organisations that offer multi-territorial licensing of online rights of musical works must represent on request the catalogues of EEA Collective Management Organisations that do not offer such licences. Cross-border transfer of accessible format copies of copyright works. The Marrakesh Directive (Directive (EU) 2017/1564 of the European Parliament and of the Council of 13 September 2017 on certain permitted uses of certain works and other subject matter protected by copyright and related rights for the benefit of persons who are blind, visually impaired or otherwise print-disabled and amending Directive 2001/29/EC on the harmonisation of certain aspects of copyright and related rights in the information society) and Regulation (Regulation (EU) 2017/1563 of the European Parliament and of the Council of 13 September 2017 on the cross-border exchange between the Union and third countries of accessible format copies of certain works and other subject matter protected by copyright and related rights for the benefit of persons who are blind, visually impaired or otherwise print-disabled) implement the Marrakesh Treaty (the Marrakesh VIP Treaty, previously the Marrakesh Treaty to Facilitate Access to Published Works for Persons Who Are Blind, Visually Impaired or Otherwise Print Disabled) in EU law and allow the cross-border transfer of accessible format copies of copyright works between EU member states and with other countries that have ratified the Treaty. The Portability and Marrakesh Regulations take effect directly in the UK. The remainder of the cross-border mechanisms have been or will be implemented in UK legislation. The UK’s continued membership of the main international treaties on copyright will ensure that the scope of protection for copyright works in the UK and for UK works abroad will remain largely unchanged. The EU cross-border copyright mechanisms extend only to member states of the EU or EEA. On exit, the UK will be treated by the EU and EEA as a third country and the reciprocal element of these mechanisms will cease to apply to the UK. The EU Directives and Regulations on copyright and related rights will be preserved in UK law as retained EU law under the powers in the EU Withdrawal Act 2018. The government will make adjustments under the powers of the Act to ensure the retained law can operate effectively. The above is taken from https://www.gov.uk/government/publications/copyright-if-theres-no-brexit-deal/copyright-if-theres-no-brexit-deal. 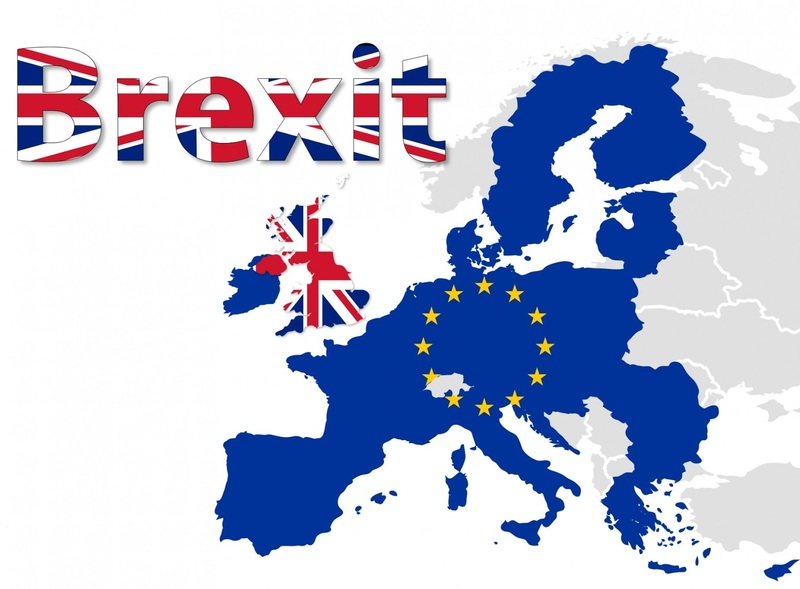 There is a FACT SHEET from the UK;s Intellectual Property Office IP and BREXIT: The fact - Facts on the future of intellectual property laws following the decision that the UK will leave the EU. This can be found here https://www.gov.uk/government/news/ip-and-brexit-the-facts and as well as copyright extends to trade marks, patents and other rights. EFF calls for reforms - to the reforms ! Is Richard Prince in a Jam?